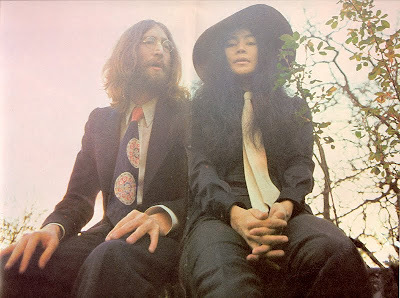 Check out the article recently posted on Yoko Ono's website, entitled "25 Things Even My Best Friends Didn't Know Until Now." Even though she's got a lot of slack over the years, but I think she's become one of the most ardent peace-lovers out there, and reading this article just puts a smile on my face. She talks a lot about her feet and her shoes - but really what woman doesn't? - and calls out all of her imperfections and insecurities. One of my favorites: "My head was unusually large for my small bod. So John called me a "Martian" ... I look to the sky and feel like my home is somewhere far away - so I thought I might really be a Martian - a result of cross-breeding thousands of years ago." Another one I thought was nice was "When I daydream, I go all the way to the end of the Earth, and come back. It's a nice exercise." It's nice to get glimpses of the real Yoko - the one apart from the edited histories created by the press and the ones created by herself. I for one love following her Twitter account - it's full of fun Yoko-isms, like "Give up meat one day and then two days maybe. It's a very, very intelligent idea" and "We know that our thinking and our actions, no matter how small they are, affect the whole world." Click on these links and fall in love! On regular my own plan to make my own site and also my own exacting joy is becoming for the reason that of this page. I do trust you may well be more sensible. This kind of post keeps up posting such great info. Try to check out this best essay service for any kind of academic writing work.